4 layers of protection against static build-up and electric energy inside and out. 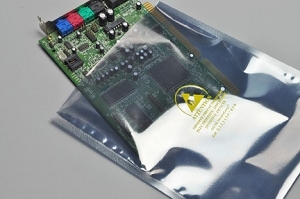 Our Transparent Static Shielding Bags are constructed with the metal layer between polyester and polyethylene to increase durability and strength. Heat sealable, see our impulse sealers for options. Meets MIL-PRF-81705D, TYPE llll, EIA 541, EIA 625, MIL-HDBK-263 and MIL-STD-1686. 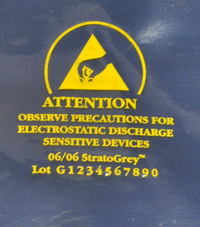 Bags are pre-printed with ESD Warning Symbol and date coded for QC traceability.